It was a brave act for Senator Manny Pacquiao to go against the odds and abstain from signing the draft resolution that insists on the Senate to be the only body to have power to challenge and remove impeachable officials. This is in light of the ousting of the impeachable officer, Chief Justice Maria Lourdes Sereno due to her lack thereof integrity and failure to consistently declare her wealth through her yearly Statements of Assets, Liabilities and Net worth (SALN). "Kasi parang disrespectful sa batas natin kung 'di tayo magtitiwala sa desisyon ng hurado na ginamit nila ang quo warranto, ang quo warranto kasi nagagamit yan pag less one year, pero ang quo warranto magagamit din yan anytime basta government ang gumamit nito." Pacquiao believes only the Supreme Court must be the one to have the power to remove impeacheable officials and this power and their decision must be respected. "Tingin ko respetuhin na lang natin ang desisyon ng mga hurado dahil may posisyon naman sila na gawin ang desisyon nila,” Pacquiao stated. All the while, boxer-senator still felt pity for Sereno but respect for the High Court, despite everthing, must be upheld. 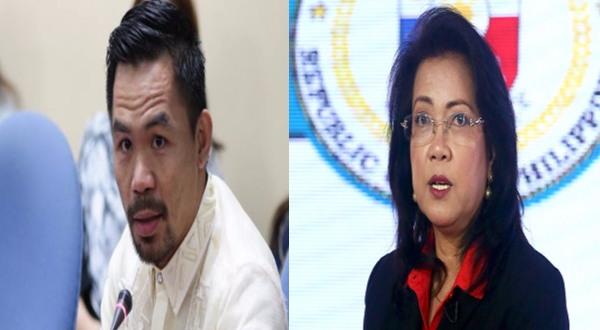 "Sa totoo lang naawa ako kay Sereno dun sa pagtatanggal sa kaniya pero alam mo katulad ng sinabi ko respetuhin natin ang batas natin,” he added. But for what its worth, Pacquiao was right and that the Legislative side of the Government should respect the power of the Judiciary and have more faith in the latter’s capabilitiy to decide, after all that is what they do and justice is what they uphold. And in order to add insight on the credibility of these opposition of the High Court, one must be of incredible background in order to seated in the High Court and not on an election that bases their right to take power on popularity or electoral fraud.